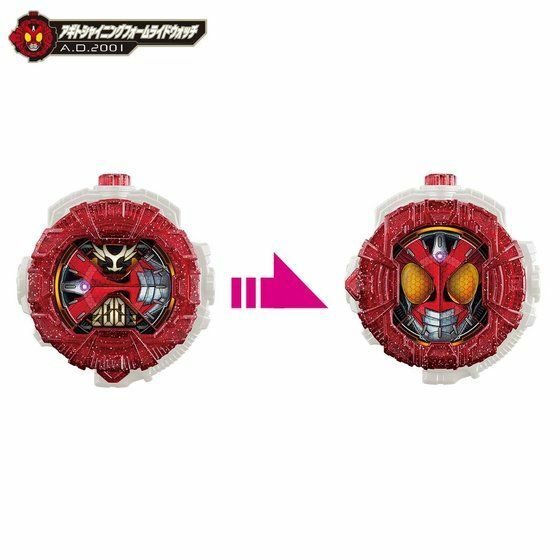 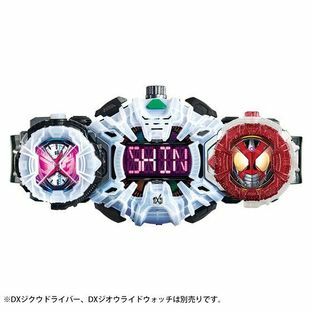 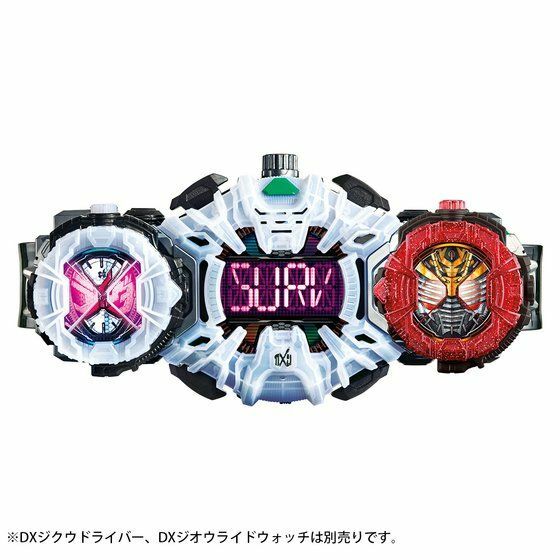 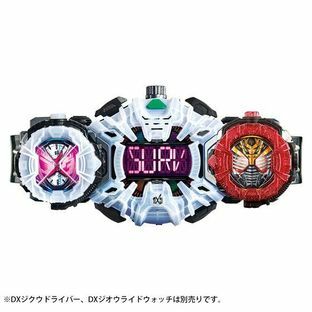 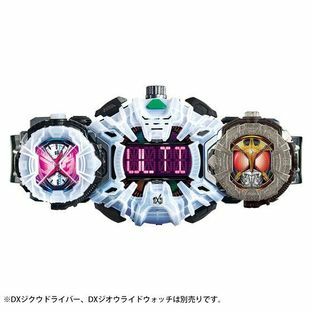 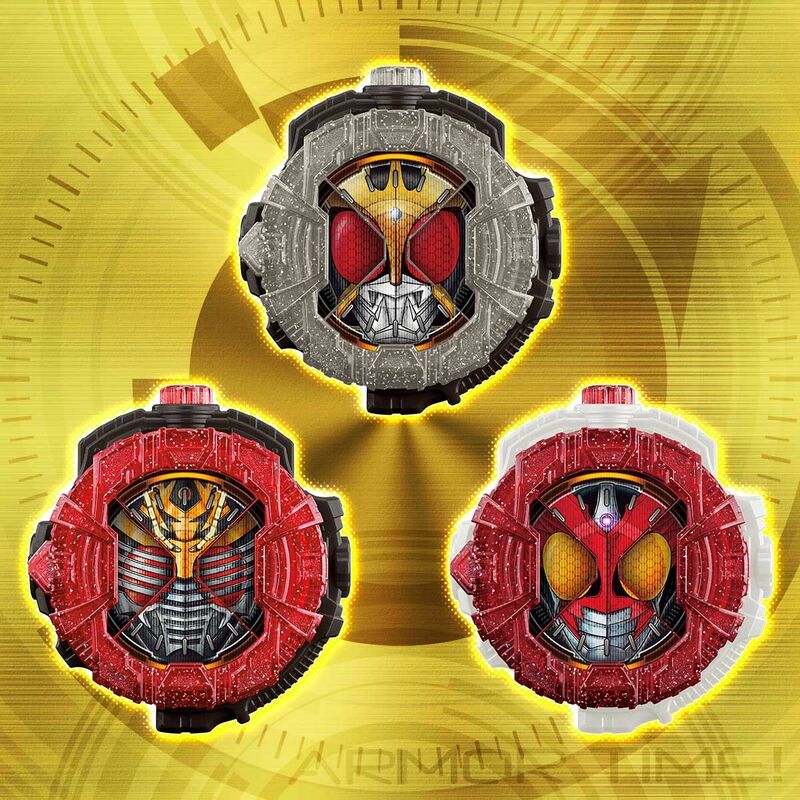 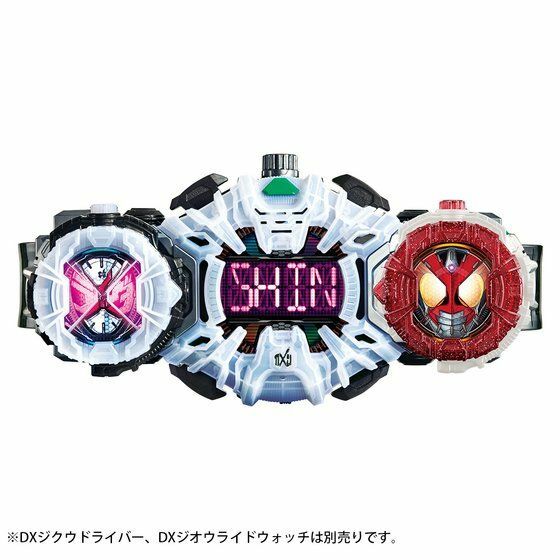 RIDEWATCHES of the Heisei Riders' strongest forms are now available for pre-orders! From "Kamen Rider ZI-O" which is now being aired in Japan, "DX RIDEWATCH SET" is now available for pre-order, coming in 2 different sets. 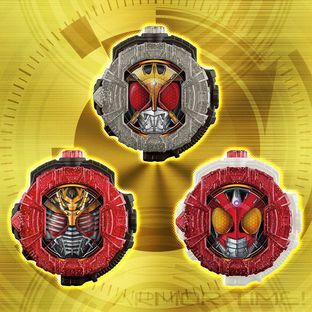 "DX RIDEWATCH SET VOL.1" includes "DX KUUGA ULTIMATE FORM RIDEWATCH", "DX AGITO SHINING FORM RIDEWATCH" and "DX RYUKI SURVIVE RIDEWATCH"; whereas "DX RIDEWATCH SET VOL.2" includes "DX FAIZ BLASTER FORM RIDEWATCH", "DX BLADE KING FORM RIDEWATCH" and "DX ARMED HIBIKI RIDEWATCH". 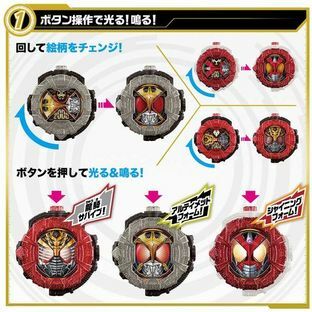 The 2 different sets are launched at the same time! 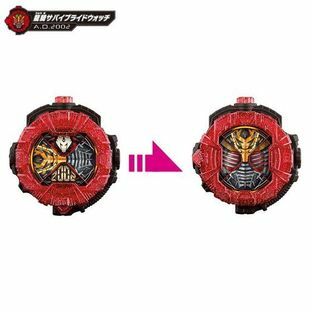 When playing with a RIDEWATCH separately, the design can be changed by turning the cover. Press the button at the top to activate the LED light and the sound effects exclusive to each RIDEWATCH, such as "究極の力！すさまじき戦士！クウガアルティメットフォーム！". 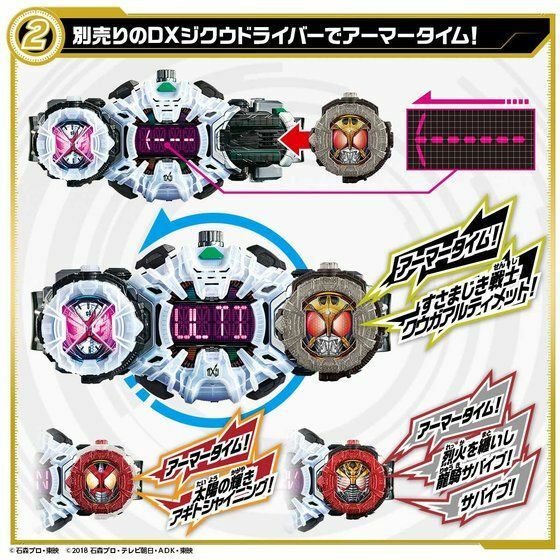 Furthermore, insert the RIDEWATCH into "DX ZIKU DRIVER" (sold separately) and turn the driver 360° around to enter ARMOR TIME. The LED will light up, and the sound effects corresponding to each RIDEWATCH will be activated.